The new Star Wars droid is also available on Amazon but is £20 more expensive than Marks and Spencer! Take a look. Beat the rush this Christmas and the new Star Wars BB8-Droid for only £63.99. When this product was initially released it was over £120! As the Star Wars Saga continues so does the rush for the toys! 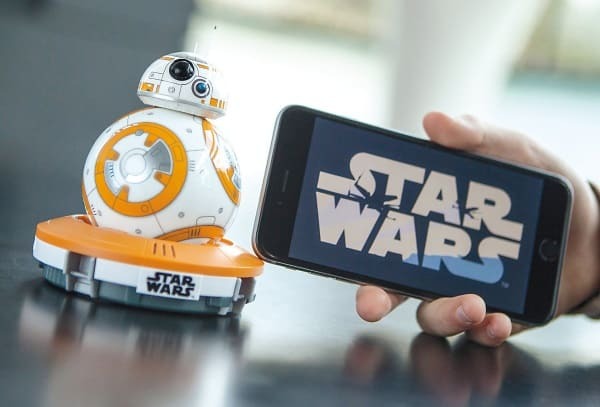 But as this BB8 Droid was released a few years ago, you can now pick it up at a bargain price! Everyone will be wanting one of these for Christmas, as the new Star Wars film is released on the 17 December in the United Kingdom. So don’t let you or the kids be disappointed this Christmas and buy the droid today.